We removed the Java Applet structure editor from our website. Browsers have poorly supported Applets in corporate environments; they were slow to load and the IT industry, as a whole, has moved on to JavaSript and HTML5 technologies for a number of reasons. The newer and quicker ChemAxon's Marvin JS editor has been available on our website for some time already and our users overwhelmingly favored it over the applet version of the editor. You can still use the ChemAxon Marvin Sketch applet installed on your PC, if that is your preferred editor, and copy-and-paste the structure to the editor on the MolPort structure search website. You may notice that the editor is now larger in comparison. We moved search filters and options to the lower part of the page. Recent and saved queries will be listed below the filters and options. It is the first tab shown, when you load the page. Here you can graphically compile the structure query. This is the tab, where we introduce you to some nice new functionality. Your searches by chemical names now result in exact compounds you are looking for. However, not only does this compound has to be in our database, we also need to have the particular version of the name you used stored in it. That is how text search engines work. And since chemical names can be complex, chances are you may miss the compound. Structure search is a much more powerfull and robust way to find the needed compound. 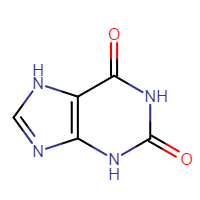 And it offers other noteworthy benefits: you can search for close analogues of the compound, for example. Drawing the structure may be tedious for larger compounds, however. We use a combination of database lookup and name-to-structure conversion strategies to convert the text input to a chemical structure. While it works for most valid chemical names, it is not always successful. As the name implies, in this tab you can upload a saved structure or query to the tool. We improved search-related navigation as well. First of all, when you go back from search results to the structure editor and query building, the last searched structure will be automatically loaded in the editor. That way you can adjust the query to make it more specific or broaden it. 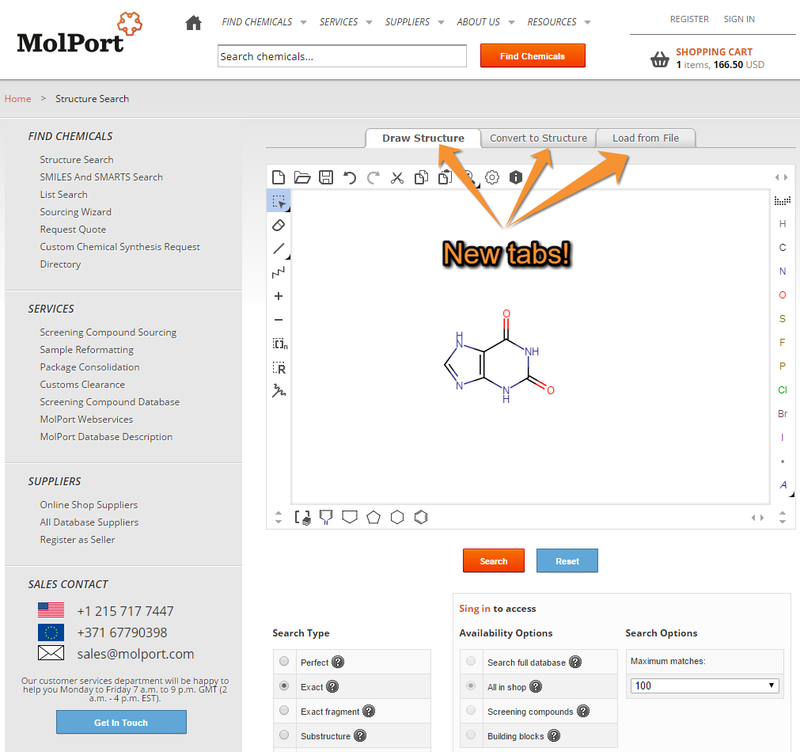 Now you can navigate from the Molecule back to the Search Results, to see other search results, or to Draw Structure, to edit the query structure.